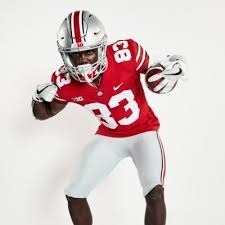 While it was unsure speculation at first, many thought that fellow receivers Parris Campbell and K. J. Hill along with Terry McLaurin were all going to declare for the NFL Draft. This would have been a devastating hit for the school to take since that is their top three receivers. Hill caught just over fifty passes for a little over five hundred yards. Campbell caught forty for over five hundred yards, and both of the men had three touchdowns a piece. McLaurin almost thirty catches for just under five hundred yards too. Surely, the Buckeyes will have a great leg up next season when they hit the field.